Rosa Khutor is situated in a unique natural-climatic zone. This year-round alpine resort is ready to take on more than 10 500 guests daily. Resort mission — to create a comfortable and safe space for recreation, sport and a healthy lifestyle in a unique place in Russia. 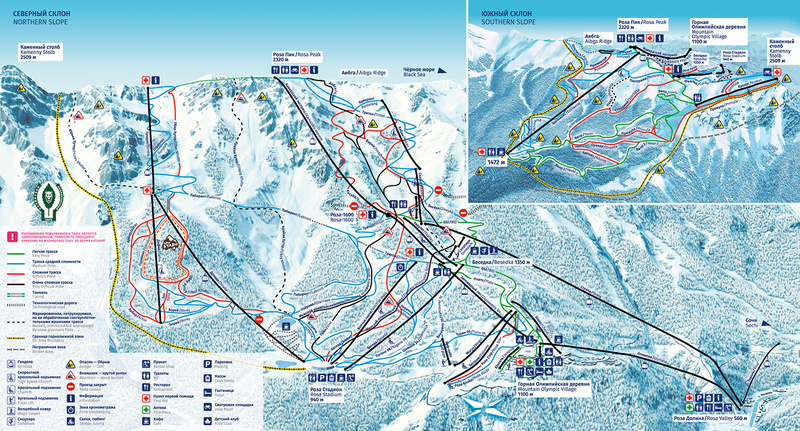 Rosa Khutor is a prestigious resort that is nonetheless open to all. It is easily accessible via various transport options and offers a wide variety of activities for guests of different ages and families with children. And it of course offers a myriad of opportunities for outdoor entertainment surrounded by the beautiful mountains... It’s sure to be worth it! A total of 77 km of ski trails were built at the Resort. Their different levels of difficulty make it possible for any skier to choose a trail appropriate for his or her level. The FIS (International Ski Federation) has certified 13 km of these trails for international competitions.